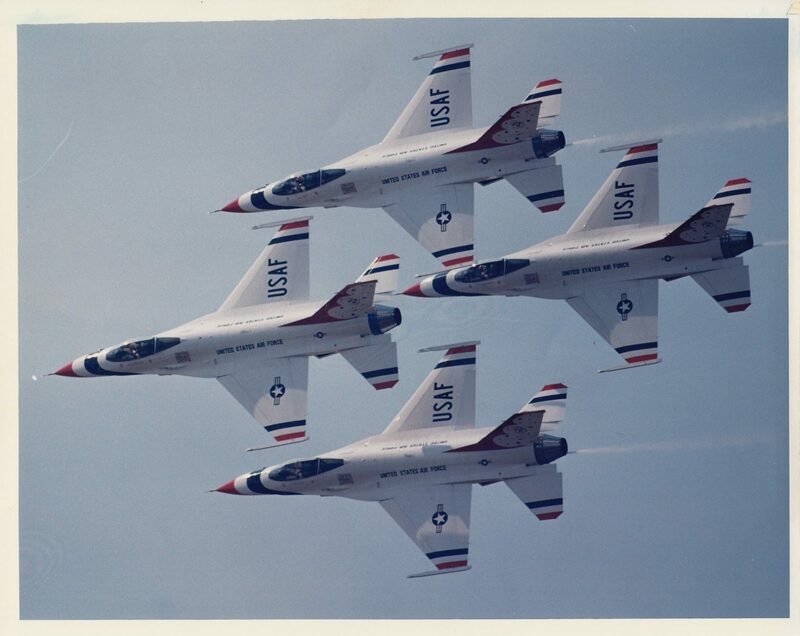 Air Force Thunderbirds Perform at the ’88 air show. 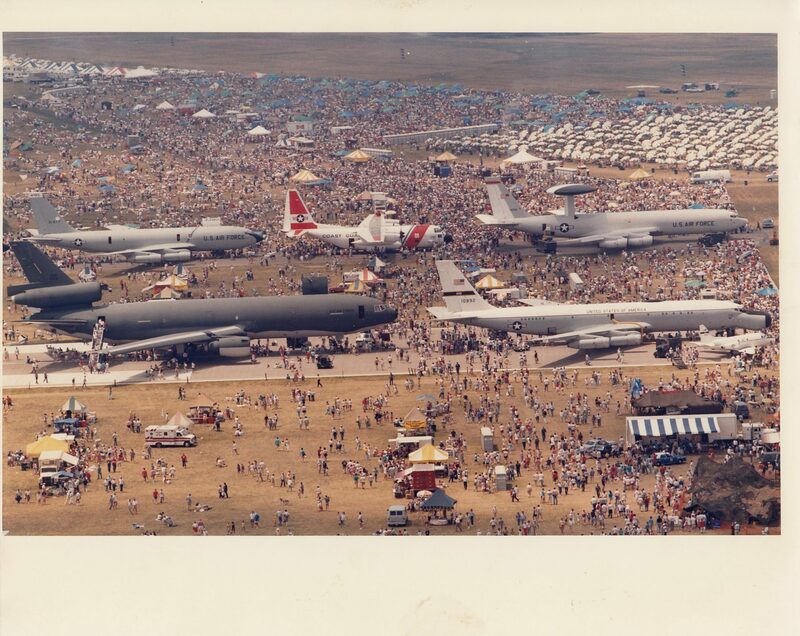 Who has attended the Dayton Air Show? 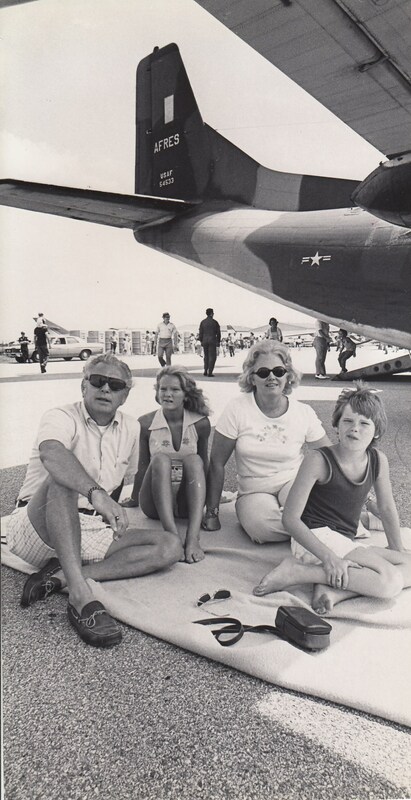 The air show, originally known as the Dayton Air Fair, started in July 1975. 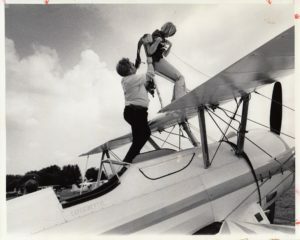 Highlights from the first Air Fair included the husband and wife stunt team of Bob and Pat Wagner and Harold Johnson, who would later serve as mayor of Moraine, Ohio. 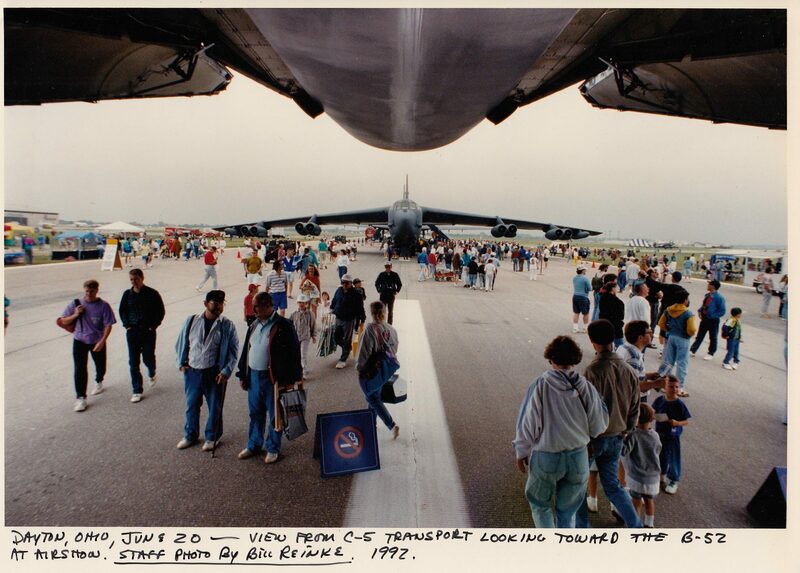 Today the Vectren Dayton Air Show attracts hundreds of thousands of visitors to the Dayton International Airport for the two day event in late June. 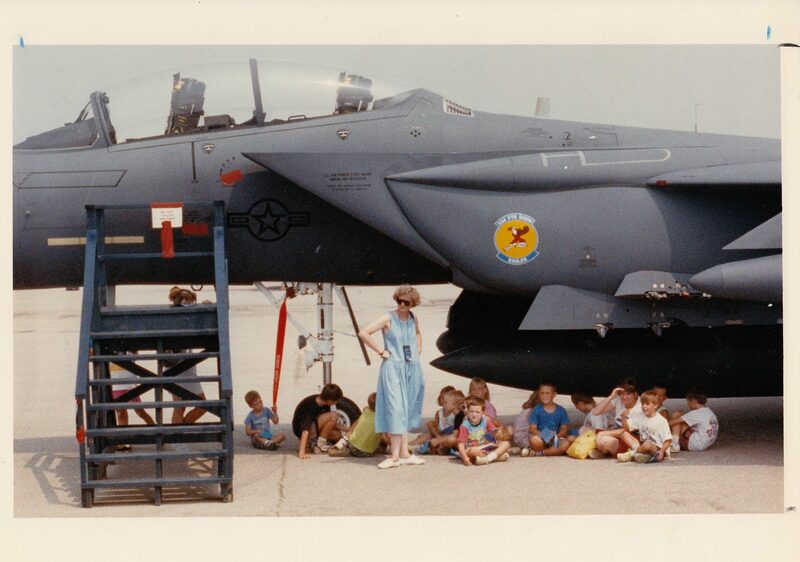 The Dayton Daily News has documented each air show since its inception and the Dayton Daily News Archive (MS-458) includes images through the 1996 season. 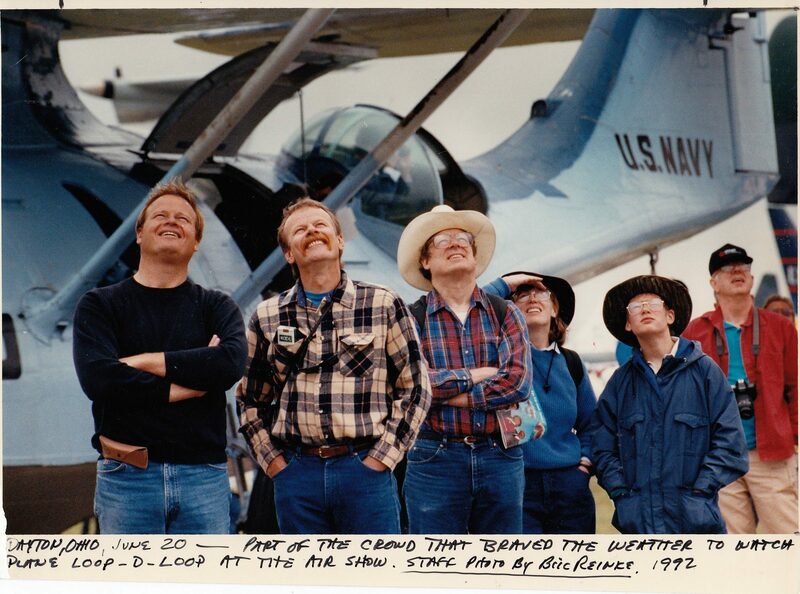 The photographs capture the planes, pilots, performers, parachutists, and spectators. 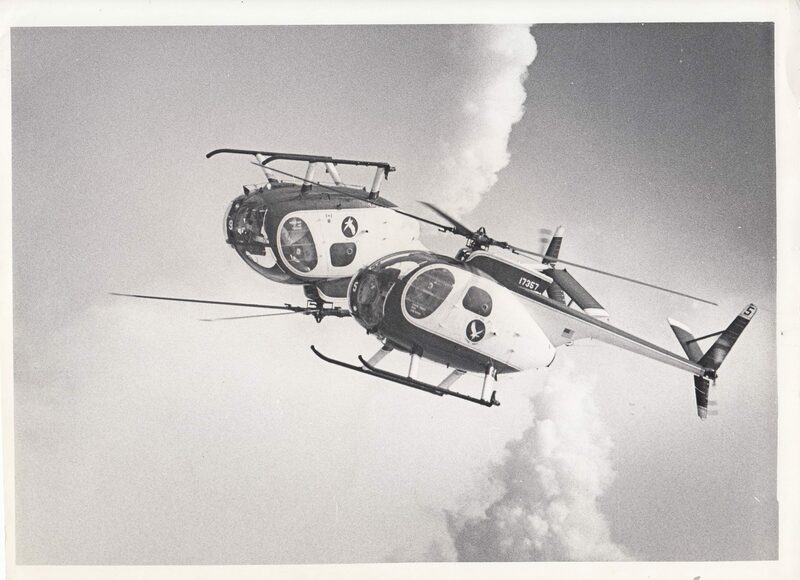 For an idea of the type of images available in the collection, please take some time to browse the images in the following gallery. 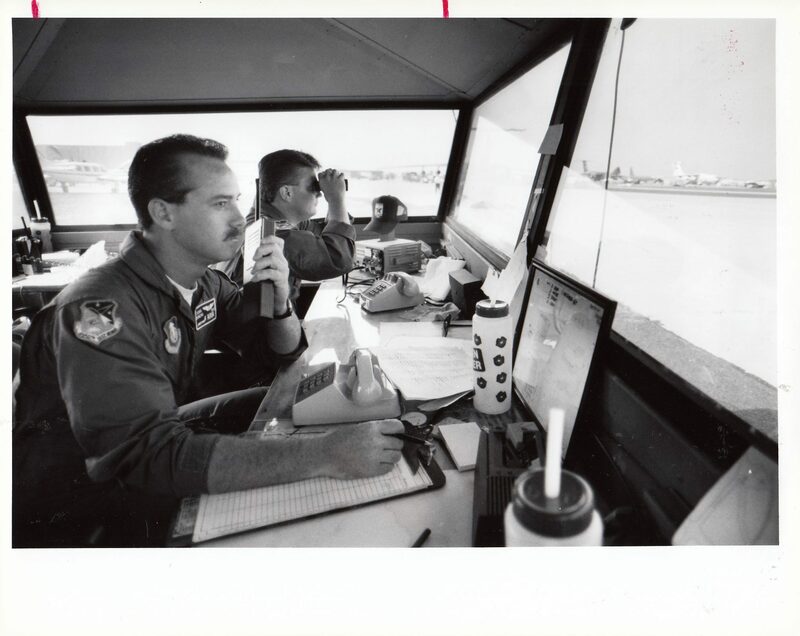 In air show control tower are T. Sgt. Ernie Frankenfield (binoculars) and S. Sgt. 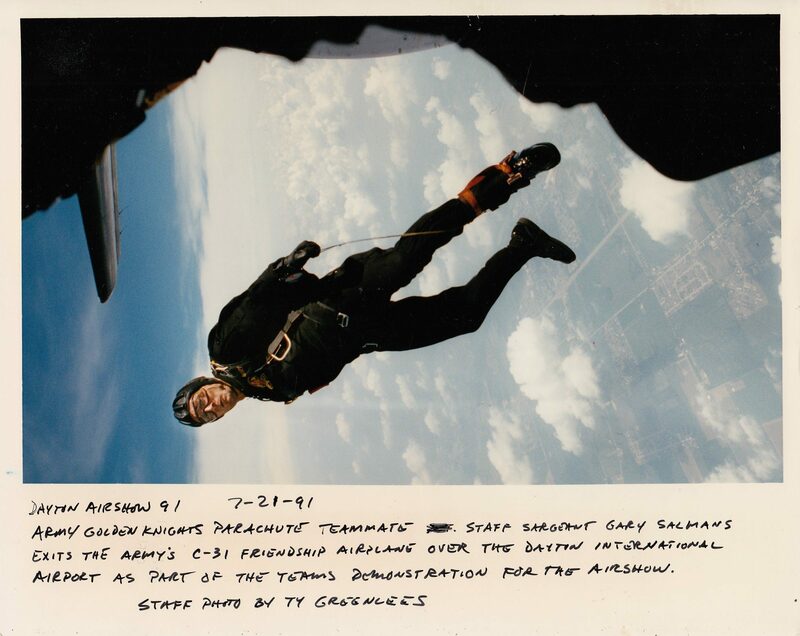 Doug Duncan, July 20, 1990. 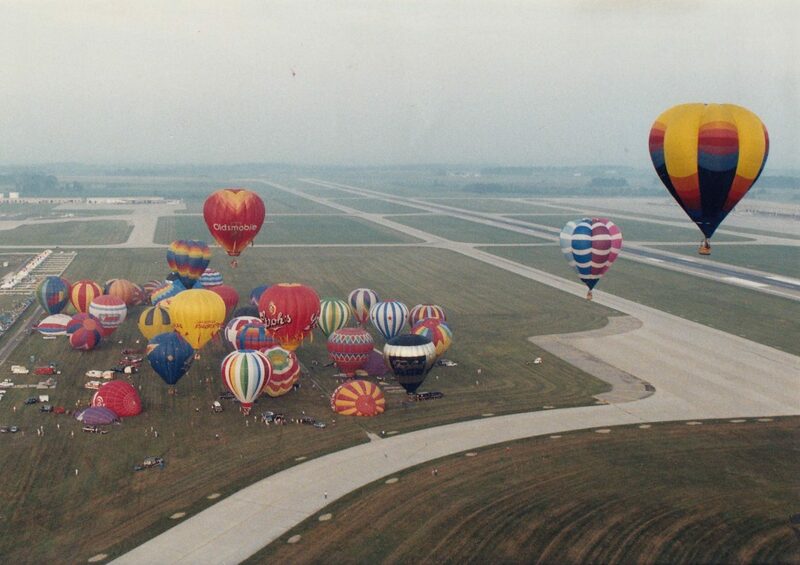 The view from Chopper 7, July 23, 1988. 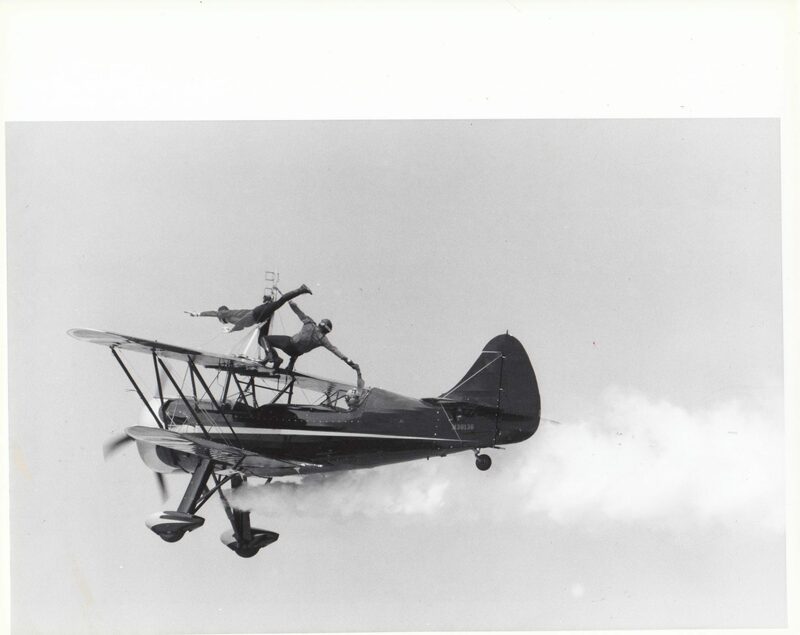 Wing walkers Johnny and Tony Kazian, July 20, 1990. 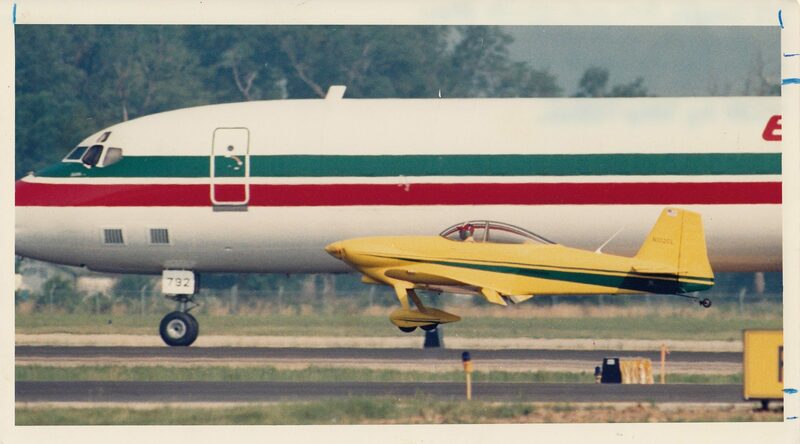 This entry was posted in DDN and Dayton, Found It in the Archives and tagged Dayton Air Show. Bookmark the permalink.